HUGE PRICE REDUCTION - ONE OF A KIND PROPERTY - NOT IN SUBDIVISION - NO RESTRICTIVE COVENANTS - GREAT ACCESS - SUBDIVISION POTENTIAL POSSIBILITY - PARKLIKE 10 ACRES - WALKOUT BUNGALOW - 3272 SQ FT OF LIVING PLUS SUNROOM!! TRIPLE ATTACHED GARAGE- PRIVATE DRIVEWAY - FENCED HORSE PASTURE- PAVED PARKING AREA - RV PAD - PRISTINE VISTAS - POND- NICE LANDSCAPING. HOME FEATURES EXPANSIVE PICTURE WINDOWS - CRAFTSMANSHIP WOODWORK - HARDWOOD - CARPET - 2 GAS FIREPLACES. MAIN FLOOR - SPACIOUS GREAT ROOM - FORMAL DINING ROOM - COUNTRY STYLE KITCHEN - CONVENIENT LAUNDRY ROOM - 2 BEDROOMS - SUNROOM. LOWER LEVEL - FAMILY ROOM - GAMES AREA - WET BAR - ENCLOSED HOT TUB ROOM - THIRD BEDROOM- 3 -PIECE BATH. WELL MAINTAINED HOME! 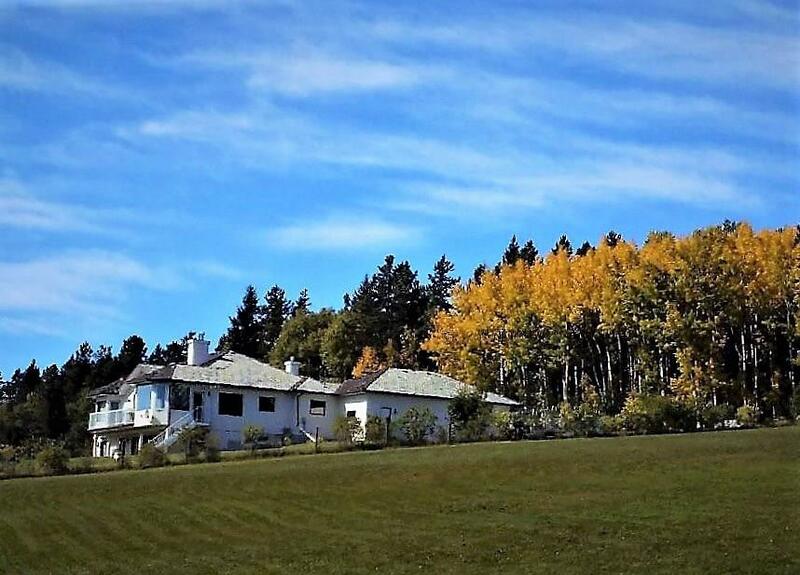 LOCATED WEST OF PRIDDIS GREENS GOLF & COUNTRY CLUB JUST STEPS FROM HWY 22. DO NOT OVERLOOK THIS PROPERTY !!!! Home for sale at 320071 163 AV W Rural Foothills County, Alberts T0L 1W4. Description: The home at 320071 163 AV W Rural Foothills County, Alberta T0L 1W4 with the MLS® Number C4186416 is currently listed at $899,900.